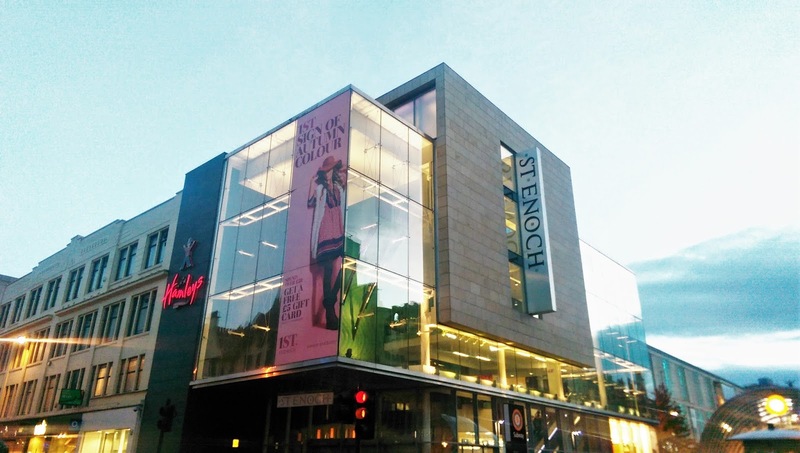 Christmas is in full swing at Glasgow’s St. Enoch Centre and they armed me with a £100 gift card and challenged me to get all of my presents for my best friend from their stores. With shops including Boots, Hotel Chocolat, Debenhams, The Disney Store, Hamleys and Fossil, along with late 7pm opening, I knew it was going to be a breeze. I am really pleased with the bundle of gifts that I picked out. I decided to make her a pamper package-style gift with lots of different relaxing treats to enjoy. First up, I headed straight to chocolate heaven Hotel Chocolat. I love that they sell taster packs called Selectors (£3.75) of all their chocolates so that you can try them before investing in a large box. I picked up three of these- Mango, Raspberry Panacotta and The Brownie. I had to wrap them up immediately so I didn’t eat them! I then headed to Yankee Scotland, a store that is dedicated to all things Yankee Candle. They have so many amazing festive scents out at this time of the year and after spending half an hour sniffing them all, I opted for Snowflake Cookie. The Snowflake Cookie Medium Jar (£18.99) has a 65-90 hour burn time and smells just like sweet home baking. I then went to BHS to seek out long-sleeved Christmas pyjamas. Who wants to bare their arms in the winter? Luckily they had lots of designs to choose from and I got her a cute navy snowman pair (£20). I then went to the beauty hall in Debenhams to pick up some pampering treats. I chose the Origins Out of Trouble Mask (£23) as this sorts out problem skin in no time. I also got her the luxurious Clinique Take The Day Off Cleansing Balm (£22) and Clinique Muslin Cloths (£6) to go with it.